Personal Injury Lawyer Frank D. Butler > Blog > Personal Injury > What Should I Do If I Am Hit by A Golf Cart? It’s all fun and a nice day on the course until you’re accidentally hit in a serious accident. A golf cart accident, many people don’t realize, can lead to life-changing injuries. Did you know that someone could be held accountable for the injuries you sustain in a golf cart accident? 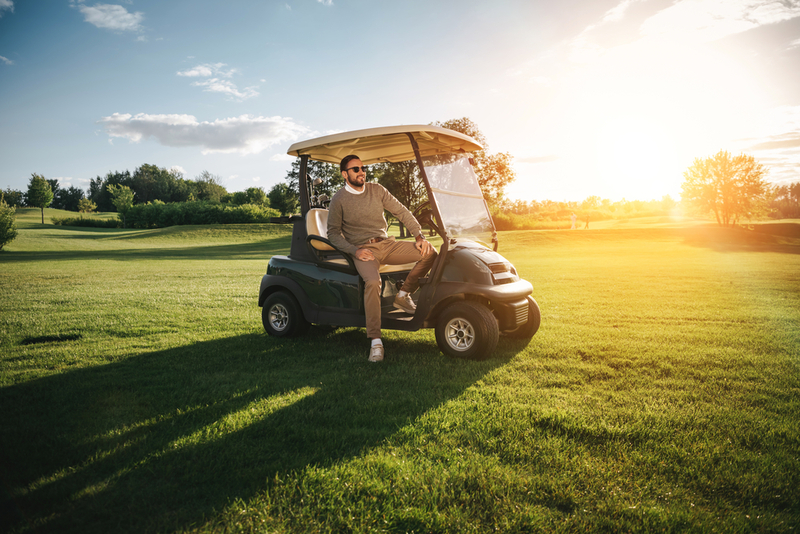 If you have recently been run over by someone who was mishandling a golf cart, you need to understand the important steps to take with the help of the right personal injury lawyer. If you have been run over by a golf cart, your first priority should be to get appropriate medical attention. This can help you to figure out whether or not you have sustained severe injuries and outline a treatment plan with the assistance of your lawyer. One of the other most important things you need to do immediately following an accident is to take photographs of the location in which the accident occurred, particularly before the carts are taken away. Get the names of all witnesses and begin with the golf party members. Contact details for all witnesses, clear images, and photographs of your injures should be a top priority for you after a serious accident. You may want to ask the offending driver for his or her explanation right at the scene, but this can be a very tenuous situation as the other person might argue that it was your fault that you somehow got hit and run over with a golf cart. Suffering from injuries is enough to give you anxiety to begin with, but the last thing you need to worry about is an aggressive person who already caused you to suffer significant injuries. If you believe that this person is responsible for your accident, share your concerns directly with a knowledgeable attorney who can help you to put together a golf cart accident claim immediately.